Nottingham in Parliament Day will take place this October when over 60 Nottingham institutions and businesses, led by our Employer Champions the University of Nottingham, will come together to shout about their city. The Science Council is proud to be a partner of this event, where – from Robin Hood to Boots, Speedo and Sat Bains – the people, institutions and businesses that make the city great will be showcased in a one-day takeover of Westminster. The Science Council will be running an event called Nottingham Science City – Developing STEM Skills of the Future with some collaborating organisations including the University of Nottingham, NUAST and Siemens. The University of Nottingham Vice Chancellor Professor Sir David Greenaway said, “We are celebrating our heritage today but this is also about the future we want for Nottingham. 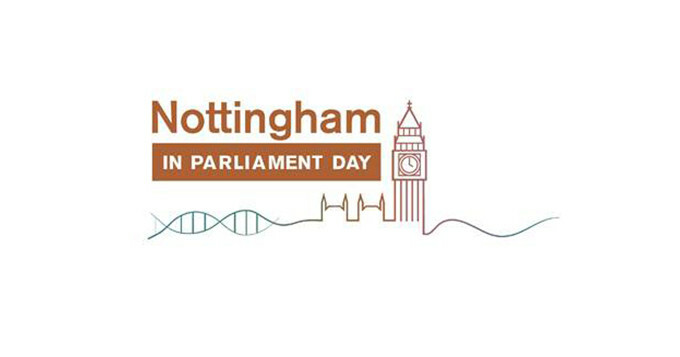 Nottingham in Parliament Day will be on on Tuesday 25 October. More information will be added to the website as plans are confirmed.